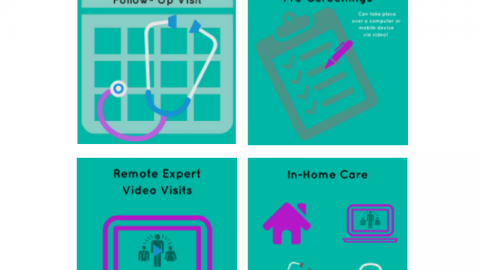 Home 2018 May Why You Should Consider WebRTC Video for Telehealth? 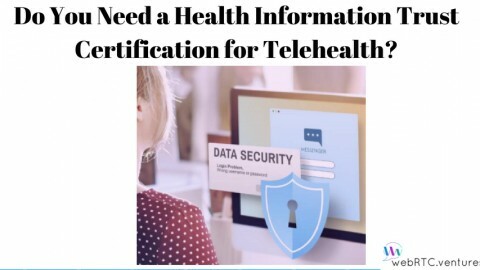 You may realize that your healthcare business must consider telehealth in order to not only meet patients’ growing technological expectations, but also to not get displaced or beat out by your competition. 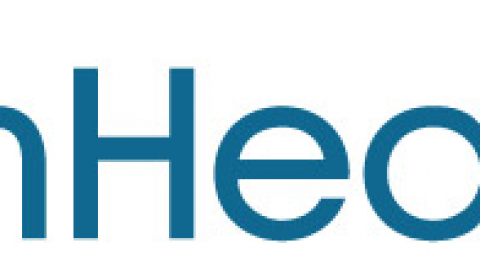 You know that video is a very important component of telehealth. 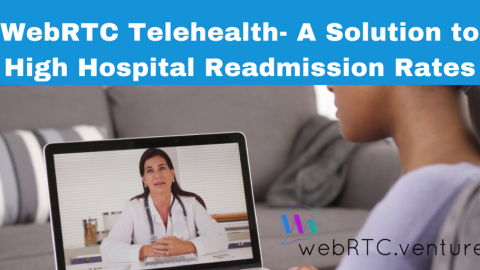 You may have heard of the term “webRTC video” mentioned when discussing telehealth. What is it? 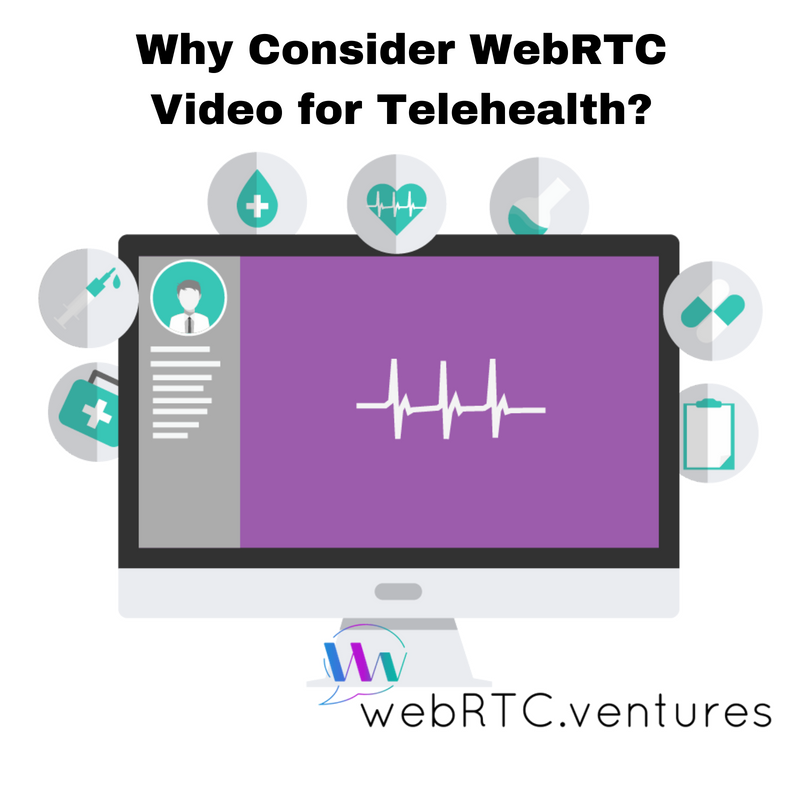 Why should you consider webRTC video for telehealth? WebRTC is a standard for connecting two or more users in a private, secure video connection, using only their web browser. The standard was originally designed by Google and open sourced in 2011, and is now part of the public HTML5 standards body. The technology standard is supported by major companies like Google, Mozilla, Microsoft, and Apple. Major internet products such as Facebook, Google Hangouts, Amazon Kindle, Slack, and many others have used WebRTC technology to build video into their applications for customer support or purely social interaction. 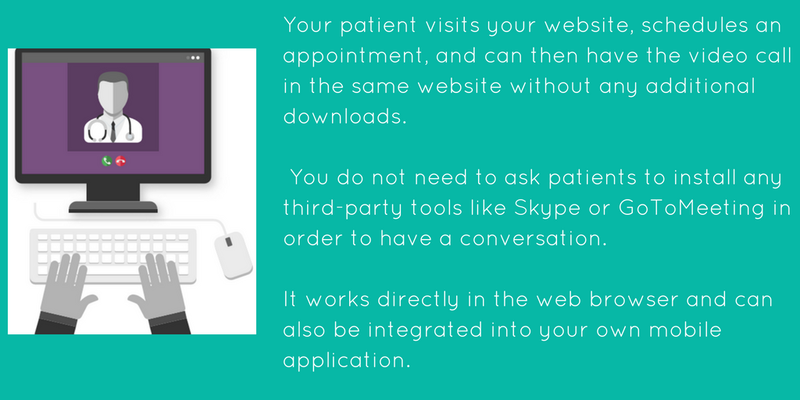 A standard WebRTC application connects two (or more) users in a Peer-to-Peer (P2P) connection. 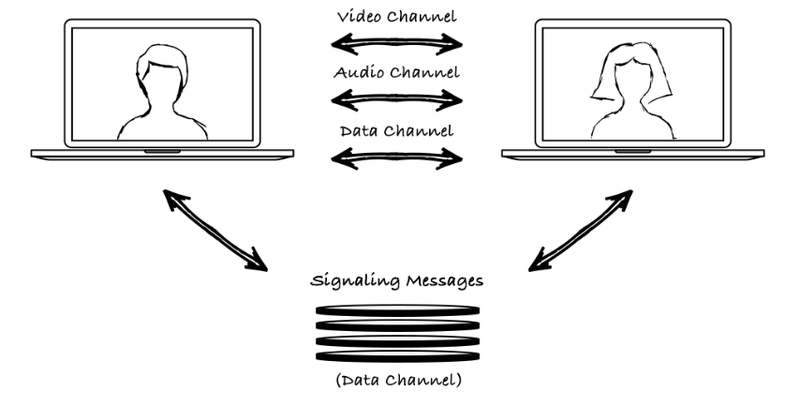 They connect to each other through a Signaling Server, which is custom built for every WebRTC application and acts as a temporary intermediary to help the two users’ computer connect to each other. Once that Peer Connection is established, the two users are connected to each other in a private encrypted connection, which allows them to share their video, audio, and data directly with each other. No intermediary servers are required at this point, which makes the connection very secure. 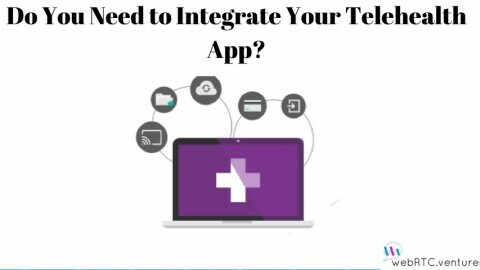 WebRTC is incredibly versatile, and allows you to build “contextual communications” applications, where users connect with each other directly in your application. 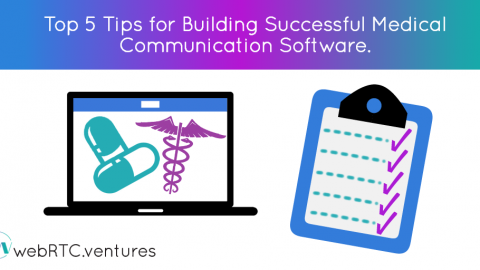 Healthcare businesses are looking for ways to cut costs, increase revenue, reach more remote patients and increase patient engagement. 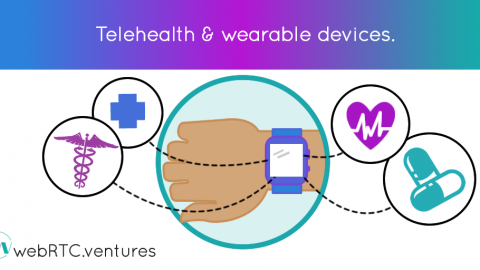 As mentioned at the beginning of this article, patients have growing technological expectations. In most areas of life, we are able to conduct “business” online — banking, shopping, virtual education. 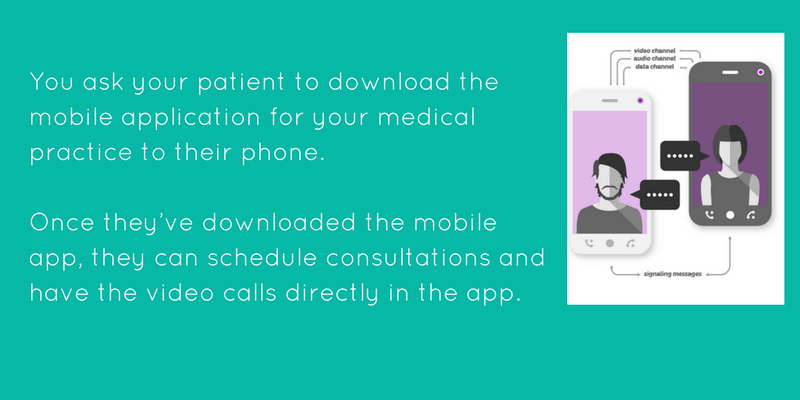 People, patients, would like to have thier healthcare providers conveniently meet them face-to-face, no matter the place as well! 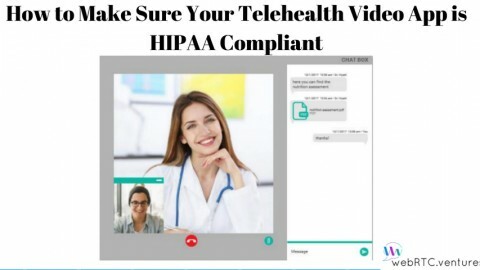 Secure webRTC video is a way to benefit both providers and patients alike!